The environmental perception of automated vehicles is limited by the range and capability of on‐board sensors. Road infrastructure operators already employ numerous traffic and environmental sensors and provide information that can be perceived by automated vehicles. In order to classify and harmonize the capabilities of a road infrastructure to support and guide automated vehicles, we propose a simple classification scheme, similar to SAE levels for the automated vehicle capabilities. These levels can be assigned to parts of the network in order to give automated vehicles and their operators guidance on the “readiness” of the road network for the coming highway automation era. Based on the ISAD Level of information and services different on-board vehicle decisions can be supported. CAVs will have to be able to drive on E-level, but the additional possibilities provided by A-level sections enable a much higher customer satisfaction as well as support road safety and capacity management related goals. Infrastructure support levels are meant to describe road or highway sections rather than whole road networks. This reflects common practice of infrastructure deployment: Traffic control systems (sensors and VMS) are usually deployed on motorway sections where traffic often reaches the capacity limit (e.g. in metropolitan areas), whereas other motorway sections need no fixed installations of traffic control systems because traffic flow is rarely disrupted. If a complex intersection is covered by dedicated traffic sensors, traffic situation awareness (level B) and even AV guidance (level A) could be provided. Other sections provide only level C support, which includes that VMS data is made available via digital interfaces. 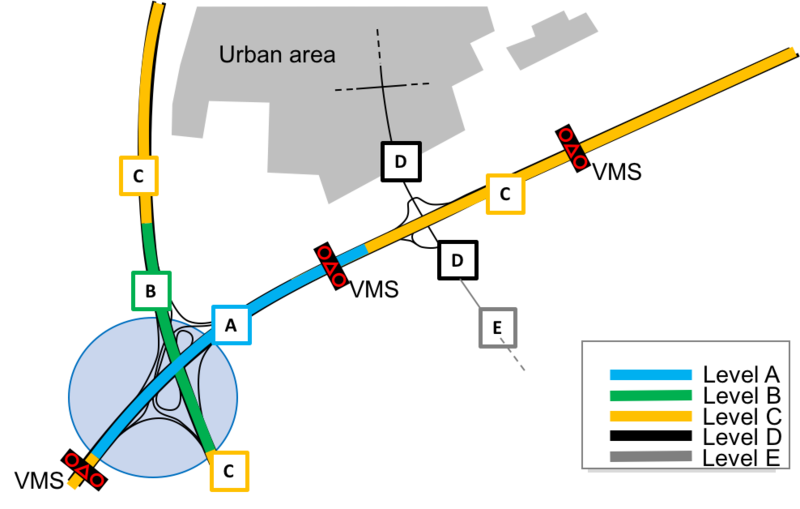 Furthermore, in this example the secondary road network is covered partially by map support (Level D), some rural areas have no support. 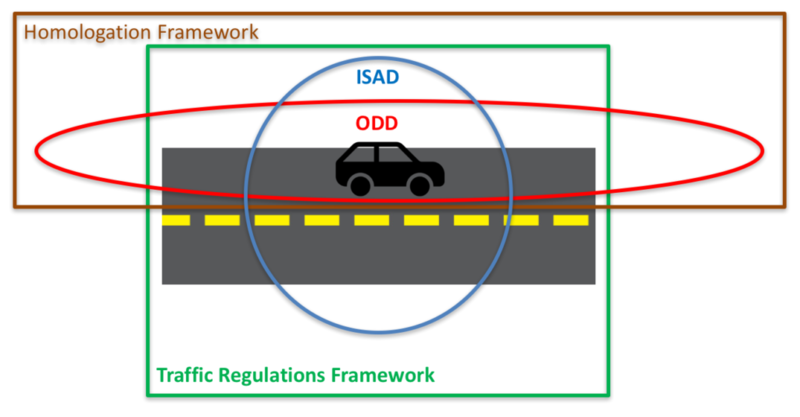 This example illustrates how ISAD levels can be used for a simple description of what automated vehicles can expect on specific parts of a road network. Long term vision is to align infrastructure data with automotive safety integrity level. Visualize automated driving quality and availability, driving/travel experience from a user perspective → What are the prerequisites towards the infrastructure from vehicle side?